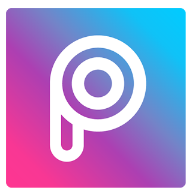 Here android users can download PicsArt Photo Studio Apk for their android mobile phones and tablets here. To download PicsArt Photo Studio Apk for android, the link is provided below. PicsArt is a multimedia tool used for editing and modifying the pictures in variety of ways. You can apply masks, make collages and frames. Text can also be added along with the stickers. The images can be rotated and adjustments of the colors can also be done. The ‘magic effects’ specially need to be mentioned as the applied filters are similar to those available in Instagram. There are number of options available in this application for the final touch of the pictures. They are comic, neon, paper, old paper, cream, Popart 2, softened un-focusing, etc. The pictures which are being edited on PicsArt can be shared on social networking sites including Facebook, Twitter, Flickr, Picasa, Dropbox, Foursquare or Tumbler. The interface of the application is very simple and easy to use. All the icons are available on the main screen.Of course; PicsArt is an amazing photo editing tool which converts your photos in an artistic image.